Join American Hauntings for the 21st annual Dead of Winter event! Celebrate winter ghosts, hauntings, and the macabre at the mysterious Mineral Springs Hotel in Alton, Illinois -- one of the most haunted locations in the state -- and be chilled by presentations on ghosts, hauntings, spirited locations, and much more! Meet authors and speakers on strange phenomena, network with other ghost enthusiasts from all over the Midwest, sign up to win raffle prizes -- including books; unusual prizes and collectibles, tickets to the 2019 Haunted America Conference; and more! Make this a haunted weekend you won't soon forget! Admission to the Daytime Event is FREE, with a canned or non-perishable item to benefit local food banks in the area. There are nearly 20,000 people in need in the region, and more than 7,000 of them are children. We'll be donating all of the items collected to a local charity, so bring a canned good or non-perishable food item with you for entry to this eerie event! HELD AT THE HAUNTED MINERAL SPRINGS HOTEL! The 2019 Festival will be held at the Mineral Springs Hotel in downtown Alton, Illinois. We'll be offering a roster of speakers on the supernatural. You'll also be able to check out the vendor's tables, see the building, sign up for raffle prizes and -- if you're one of the lucky one who signed up in advance -- pick up your tickets for the After Hours events. Tickets for the After Hours event at the eerie First Unitarian Church are still available for purchase! It's going to be THE supernatural weekend of the winter and we hope to see you at the Mineral Springs for a haunted day of fun and to help out a worthy cause! Staying the night in Alton? The Best Western Premier Hotel is offering a special weekend rate for any of the guests who call and mention "American Hauntings' Dead of Winter" when booking! Just call 618-462-1220 to book your room and enjoy the special rate, free breakfast, Great Rivers Tap and Grill, and much more. It's the official hotel of American Hauntings! 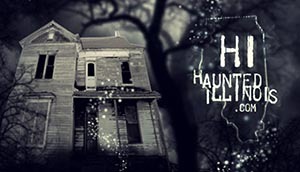 Check out www.americanhauntingsink.com/winter for more information as well as details on presenters, how to become a vendor, and more!